Almost all of us have been taking medicines and ingesting chemically laden eatables since our childhood, which results in greater health problems as we age. 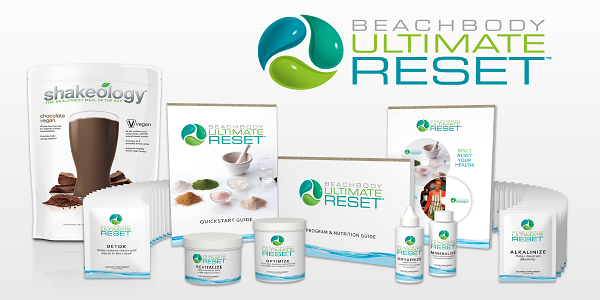 Beachbody Ultimate Reset Cleanse takes a plunge to mend your health and wash away the toxins that has made you feel sluggish, tired, and bloated! 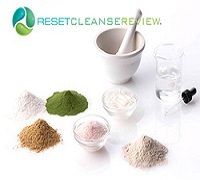 In this Ultimate Reset Review, we are going to introduce you to the ultimate reset cleansing system, the weekly plan which will help to detoxify your body to attain maximum health potential and shed some light on how this cleanse is different from other cleansers. Ultimate Reset Review: How Does it Work? Ultimate cleanse is a comprehensive plan that is going to give you an inner-body tune up by offering a meal plan, fortified with supplements that will “Reset” the body from the harmful substances and “Restore” your system to maximum health through clean eating. The plan is just 21 days long that is divided into three phases (3 weeks) to give you the boost your body needs to regain its natural strength while supporting long-term wellness. It is nothing like the starvation diets, but an organized meal plan that is followed by supplements to eliminate the harmful bacteria while facilitating the inner body cleaning process. Ultimate Reset Cleanse Review: What Does It Offer? 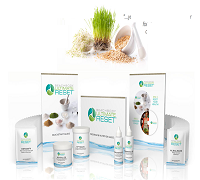 If you buy Ultimate Reset Home Direct, then you will also get Ultimate Reset Maintenance Kit, sent to you after 30 days, that aims to keep a healthy pH balance in the body. Ultimate Reset Review: How to Perform the Cleanse? The secret to Ultimate Cleanse meal plan is that it is designed to offer you health and fitness while keeping your body away from the harms. There will be no cheat meals, but for 21 days you will follow only healthy eating that will last a long time. Week One: The first week you reclaim your body. You will be consuming meat, whole grains, eggs, Greek yogurt, many veggies, lots of fruit, and nuts to gain nutrition. Week Two: Second stop is “detox”. You will consume veggies, fruits, and again some nuts for added fiber intake and also begin taking the Detox supplement. Week Three: Revitalize your body by going fully vegan. You will be eating plenty of fruits and veggies with some grains to bring back the healthy bacteria back into the body. 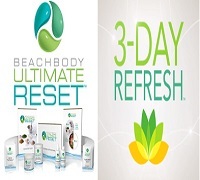 Ultimate Reset Review: Ultimate Reset vs. 3 Day Refresh! 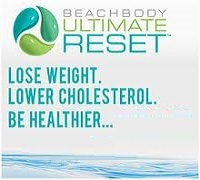 Let us compare Ultimate Reset with another Beachbody new health rejuvenation product 3 Day Refresh. While Ultimate Reset Cleanse is a healthy way of eating for 21 days, as include different supplements are added up in your diet to detox your system properly, 3 Day Refresh is a quick reset plan of 3 short days. It uses effective shakes that are high in protein and nutrition, digestive drinks and a wide array of fresh fruits and veggies combined with healthy fats. Ultimate Reset vs. 3 Day Refresh proves that Ultimate Reset is going to mend your eating habits in 21 days, and as opposed to just focusing on weight loss like 3 day cleanse, you focus on cleaning your body from the inside and fuel the body system without starving it of the essential nutrients.